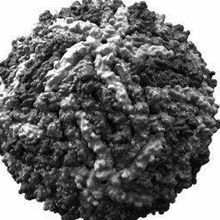 WIKIMEDIA, SCINCESIDEA synthetic DNA–based vaccine targeting the Middle East respiratory syndrome coronavirus (MERS-CoV) protects rhesus macaques from developing symptoms of the disease. The vaccine also elicits antibodies against the spike protein of the virus in camels, which are thought to facilitate the spread of the pathogen to humans. These preclinical results were published today (August 19) in Science Translational Medicine. “This type of vaccine [could allow] for a potentially more broadly neutralizing antibody response, which may protect against multiple strains of MERS-CoV circulating in the environment,” virologist Matthew Frieman of the University of Maryland who was not involved in the study told The Scientist in an email. David Weiner, a professor of pathology at the University of Pennsylvania who develops gene-based vaccines, and his colleagues took cues from previous vaccine studies of the related severe acute respiratory syndrome coronavirus (SARS-CoV), which showed that the spike glycoprotein is immunogenic and induces neutralizing, infection-preventing antibodies. 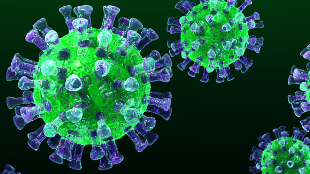 The researchers designed an artificial consensus sequence of the MERS-CoV glycoprotein based on sequences of isolates from past and ongoing MERS outbreaks. “[The sequence is changed slightly to emphasize conserved regions of the protein that provoke an immune response,” said Weiner. 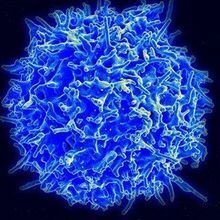 In collaboration with investigators at the National Institute of Allergy and Infectious Diseases (NIAID) Rocky Mountain Laboratories in Hamilton, Montana; the University of Manitoba; Public Health Agency of Canada; and Pennsylvania-based Inovio Pharmaceuticals; among others, Weiner and his colleagues first showed that mice immunized with the vaccine produced both CD8+ and CD4+ T-cells and MERS-CoV–neutralizing antibodies, which can prevent—or at least limit—infection. The team observed similar T-cells and neutralizing antibodies in vaccinated rhesus macaques. 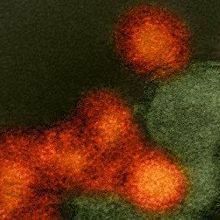 When challenged with clinical isolates of MERS-CoV four weeks after receiving a vaccination, the monkeys did not develop pneumonia or other MERS-related symptoms. Animals that had been vaccinated with a control vaccine showed pneumonia symptoms and pathology. The viral load in the vaccinated animals was also consistently lower compared to those animals vaccinated with a control. Neutralizing antibodies against MERS-CoV were also detected in two of three camels vaccinated in the present study. Some juvenile camels harbor MERS-CoV because they do not mount a very good immune response to the virus until they mature, explained Weiner. Vaccinating camels that come into contact with people could break the chain of transmission, potentially minimizing or prevent MERS outbreaks, Weiner proposed. Frieman agreed. “The spillover of MERS-CoV from camels to humans is going to continue until there is elimination of the virus in camels,” he said. Several other MERS-CoV vaccine and treatment approaches have recently been described, including a MERS neutralizing antibody that was able to rid mice of a MERS-CoV infection. According to Barney Graham, deputy director of the Vaccine Research Center at the NIAID who was not involved in the current study, whether a DNA vaccine will be efficacious on its own or as a prime for a protein-based vaccine is still an open question. He and his colleagues recently published a study describing different vaccine candidates, comparing DNA-only to DNA-priming with a protein boost. “I think DNA-priming is something that can help durability of an immune response, but I am not entirely confident that a DNA vaccine on its own will induce optimal levels of neutralizing antibodies,” he said. A broader question, said Frieman, is how well a vaccine can protect either animals or humans in real-world conditions, since RNA viruses—including coronaviruses—have a tendency to evade antibodies when placed under immune pressures. The synthetic DNA–based vaccine will now be tested in a Phase 1 human trial, conducted by Inovio Pharmaceuticals for which Weiner serves as a scientific advisor. K. Muthumani et al., “A synthetic consensus anti–spike protein DNA vaccine induces protective immunity against Middle East respiratory syndrome coronavirus in nonhuman primates,” Science Translational Medicine, doi:10.1126/scitranslmed.aac7462, 2015.